UIU-Owned Programs: UIU currently owns and operates two programs abroad: one in Malaysia and another in Hong Kong. Since these programs are UIU-owned, all courses taken are UIU courses, and thus, count towards a student’s GPA. Regular exchange programs: These programs can be identified by the “UIU in XXXX” name. For these types of programs, the student pays tuition at UIU but pays housing to the host institution abroad. All courses taken at these programs count towards the student’s GPA. ISEP exchange programs: These programs can be identified by the “UIU-ISEP in XXXX” name. For these types of programs, the student pays tuition, room and board at UIU. The student does not pay anything to the host institution abroad. All courses taken at these programs count towards the student’s GPA. UIU Faculty-led and Other Short-Term Programs: These programs are led by UIU faculty and typically last between 2-4 weeks (although some can last longer). They are commonly held during summer time and often include excursions as a way to compliment the faculty lecture. All courses taken during these programs count towards the student’s GPA. Affiliated and Non-Affiliated Programs: These programs are managed by other organizations and institutions. 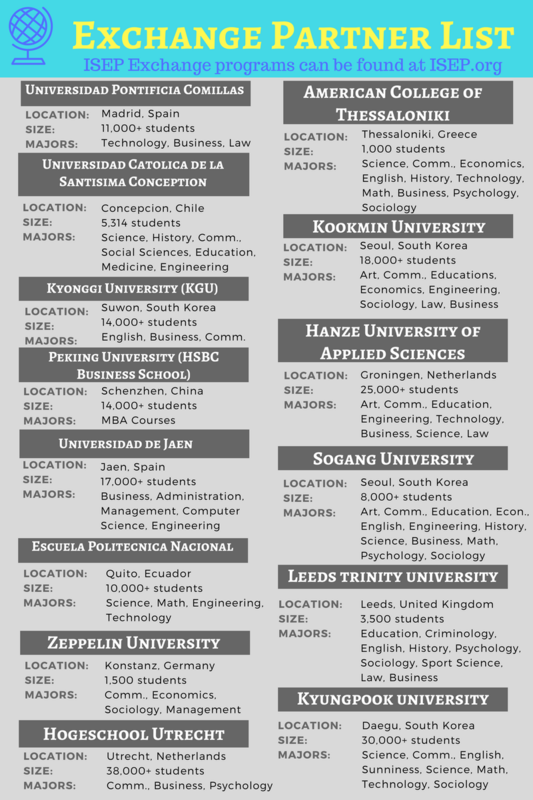 UIU partners with some of these organizations and institutions in order to provide a wider portfolio of programs to our students interested in studying abroad. Costs are typically higher for participating in these programs and courses taken at these programs do not count towards the student’s GPA. 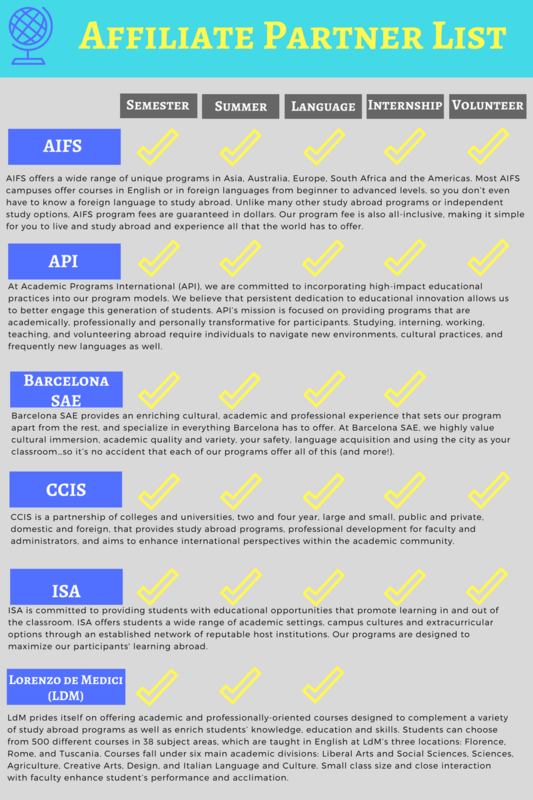 Apply for a $1,000 grant to be used towards an AIFS or API affiliate program! 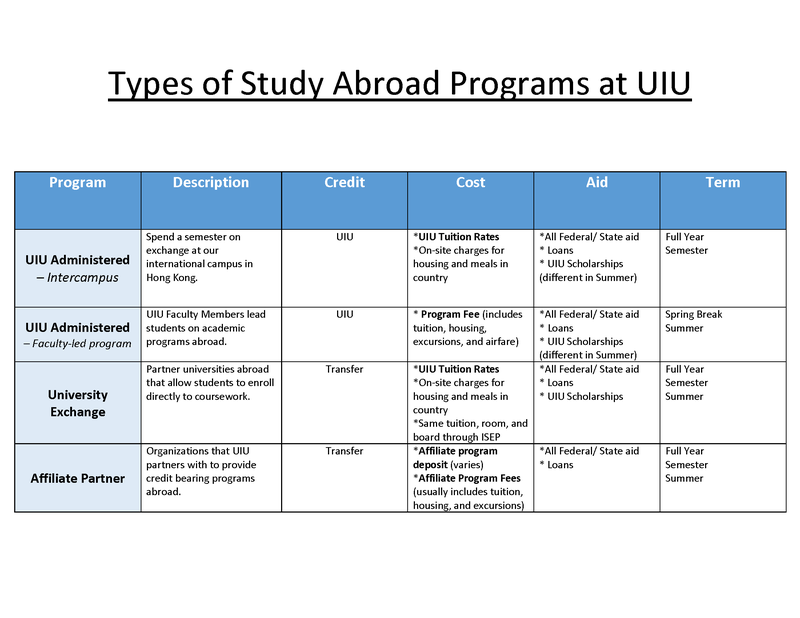 Email educationabroad@uiu.edu for more information on how to apply.